Below are listed the most amazing landmarks of Gough Island. 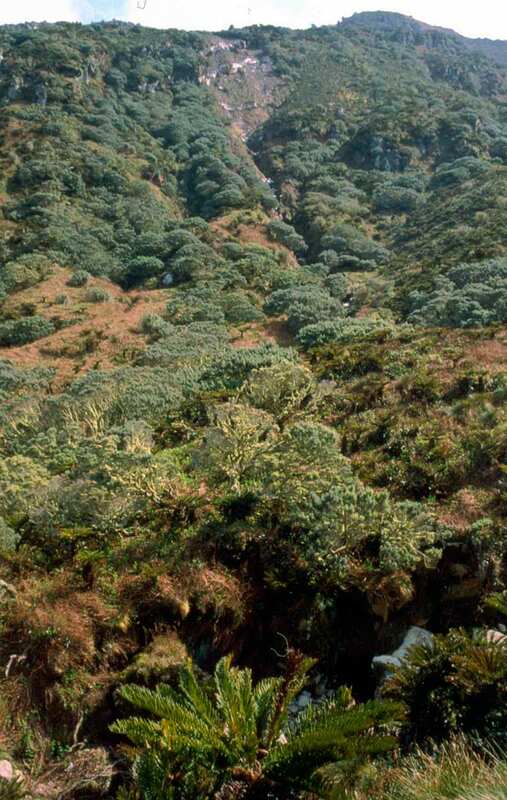 This small and remote island is one of the least disrupted ecosystems in the cool temperate zone of the world and as such is included in UNESCO World Heritage list (since 1995) as a part of the monument "Gough and Inaccessible Islands". Thus the ecosystem of Gough Island represents a landmark. On the island live two species of endemic birds and 12 endemic species of plants. Gough island has spectacular landscape – with high cliffs, numerous waterfalls, countless seabirds. Here are breeding 22 species of birds. Walking on the island is very hard – terrain is very steep and vegetation almost impenetrable. On the island breed 48% of the northern rockhopper penguins (Edyptes chrysocome moseleyi), 3 millions Puffinus gravis, this island is the last refuge of several sea bird species. Gough Island is a part of British Overseas Territory of Saint Helena, Ascension and Tristan da Cunha, dependency of Tristan da Cunha (under jurisdiction of United Kingdom). An engagingly illustrated look at twenty of the most remote islands in the world, blending history with an insightful account of the ecology of these farflung places.